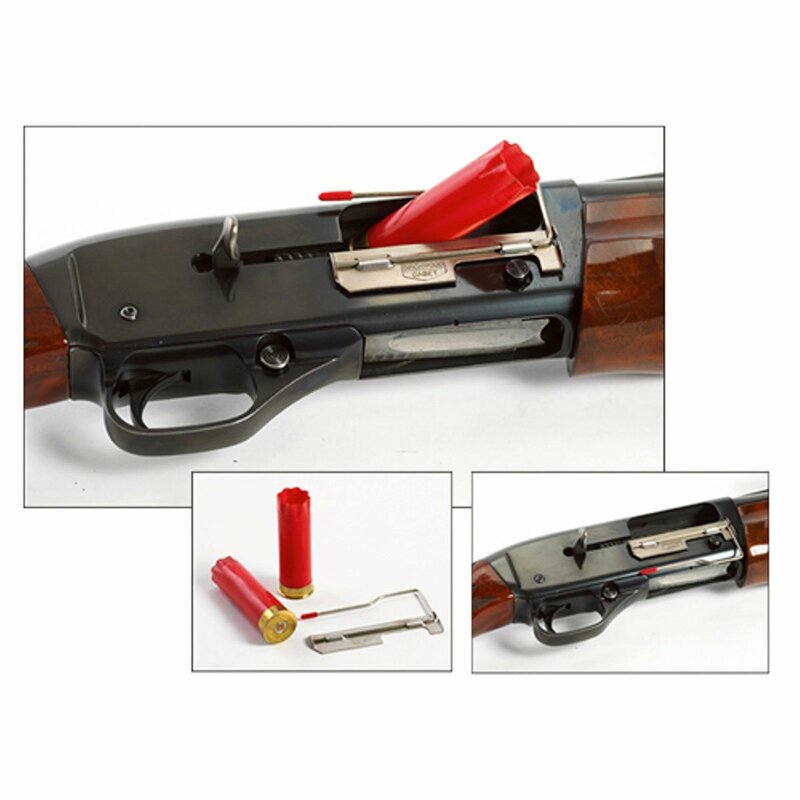 Save-It Shell Catcher 12-Gauge Semi-Auto Shotguns The original Peterson Save-It Shell Catcher is back. An all-steel shotgun shell catcher that prevents empty hulls from being ejected through the receiver opening on semi-automatic shotguns and holds the empties for easy removal. One model works with all 12-gauge semi-auto shotguns. Simply peel off the double-faced tape to attach the unit to the gun's receiver. The semi-permanent adhesive can be removed if desired. Softly padded tape acts like a barrier, keeping the metal plate away from the gun. There is no movement or vibration to scratch the receiver's finish. The Save-It Shell Catcher is adjustable for different shot shell loads and guns if needed. Simply close or open the ends of the wire with no modifications to the gun. Save shells from hitting your neighbor on the range, hitting their expensive gun, causing distractions for you and other shooters and the empties from hitting the ground. Save the empties for reloading or having to pick them up later. Easy-to-use and works great.